IRVING, Texas – The Conference USA league office released the 2019 Air Force Reserve C-USA Men's Basketball Championship bracket Saturday night at the conclusion of regular season action. 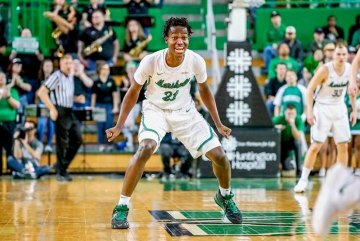 After finishing the season 18-13 with an 11-7 conference record, Marshall earned the sixth seed in the tournament and will face 11-seeded Rice on Wednesday at 10 p.m. EST/9 p.m. CST on Court B at The Star in Frisco, Texas. The game will be broadcast on ESPN+. The Herd finished the regular season on a five-game win streak.